Join us for lunch on Wednesdays and Thursdays in our beautifully renovated café in the Village Green! 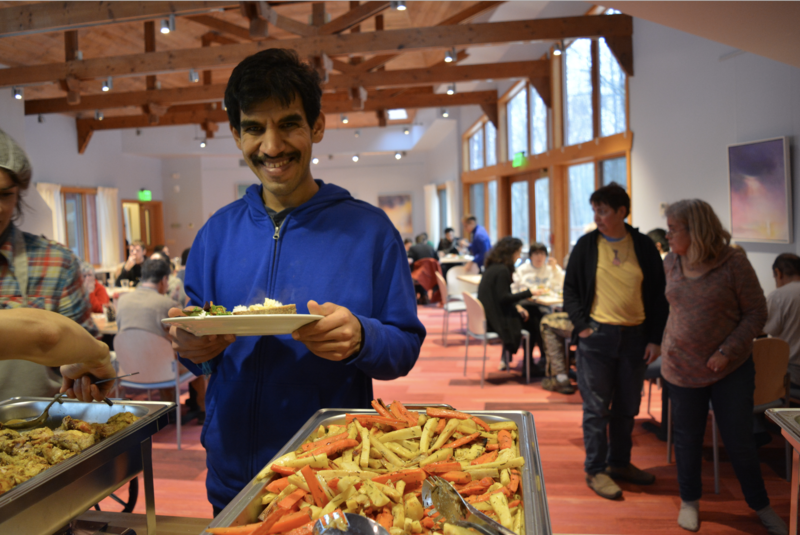 We serve delicious healthy meals, often using ingredients from our own land. Lunch is served at noon, and lasts until 12:30 p.m. You can call us to make reservations at 518-329-7919. If you’re leaving a message, please include the number of people that will be in the group, as well as any dietary restrictions. The cost per person is $10. Check our Facebook page on Tuesdays, when we’ll announce the menu for the week!